There are some exciting changes and including 2 chairlifts and a handful of runs all new in Meribel. 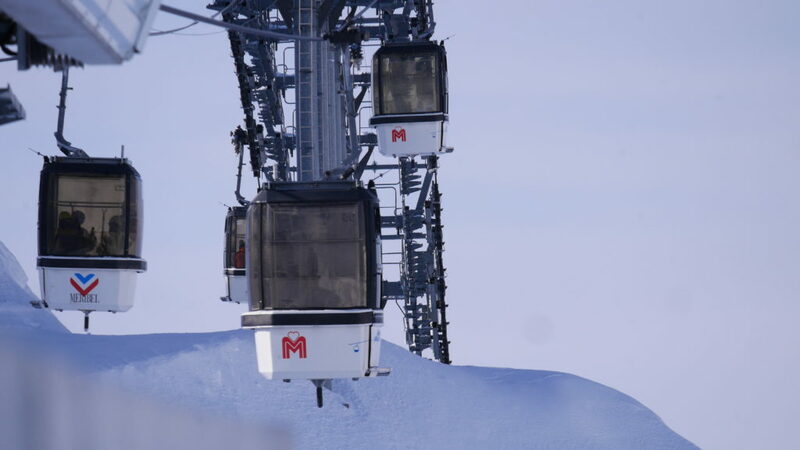 In a video released by Meribel Alpina, the company responsible for the lift system and pistes, details of some of the changes for this winter has been revealed. There will be a new faster 6 man detachable chairlift replacing the Plan de l’Homme and the Roc de Fer lifts called Legends. It will run from the Chaudanne area up to the top of the Elements park. The new lift can move 3600 people an hour. It is 1650m long, carries skiers up to 2017m above sea level over 580 vertical meters. More importantly, the seats are heated and covered! You will still be able to access the Olympic and Cherferie chair easily so access to Saint-Martin-de-Belleville will not be affected. As previously mentioned this lift is easy to access from the Legends chair and is a great link if you want to drop down into Saint-Martin-de-Belleville. And up until now has been a drag lift that many people choose to avoid. The lift stations won’t move but the route and the method will. When the resort opens in December there will be a brand new that will take just 4 minutes. There will be a more comfortable journey up to Meribel’s highest peak this winter. The cars are part of the refurb and will have better seating for the long journey up. Along with the changes to the lift system on the western slopes above Meribel, there are new additions to the piste map. The connections between the new lifts are improved along with the creation of two new red runs. There is a new red piste called the Gypaete flanking the existing Choucas blue run that followed the original route of the Cherferie lift. Close by and located just under the Olympic Express chair is the new red run called Daguet. This piste will start midway down the black Face run, cut under the chairlift and merge into the meeting point of the Gelinotte and Raffort runs that link Meribel Centre and Les Allues respectively. If you are planning a Meribel trip this winter take a look at our catered chalets that are located throughout the resort with great access to the slopes.